The 2017 Australian Running Festival in Canberra was another wonderful display of community, passion, determination and friendship. Like all events I’ve been to as a Running Mum the support was second too none and I felt so very blessed all weekend being part of this community. To be brutally honest I went into this event anxious. I have been training really hard and I put a lot of pressure on myself to perform. The last couple of marathons have been tough and I wanted to prove to myself I could do the time I was hoping for. I felt like that’s what everyone else expected of me too. I wanted to be amazing because I am constantly- every single day- in awe of the women in this community and their achievements, and some days I just want to have something amazing to add to our group. That’s a lot of pressure to put on myself going into a marathon and I found I couldn’t sleep the night before and I was even sick. Ridiculous in retrospect. What (I think) women want is a real life role model. I am no Olympian, I am no super star, I am a normal mum of 3, who loves to run. I run because in this crazy life it makes me feel the most free and gives me the energy to face each day with passion and enthusiasm. I will never be the fastest or strongest but what you will always get from me as a runner is a big smile, encouraging words and so much pride in each of your achievements. What I have realized over the weekend is that I am surrounded with amazing, passionate, inspirational women from this community that have become my closest friends and what we do is actually not the norm. We raise families, we train really hard, we work, we volunteer, we support. This is not what everyone does. Why do people look up to our members and join our network? Because we are not afraid to try even if we are never going to be the fastest or strongest. We are out there training day in day out simply for the love of running and in the hope that we can inspire others to do the same and be role models for their own families and communities. I didn’t get my Boston Qualifier on the weekend. It wasn’t my time. 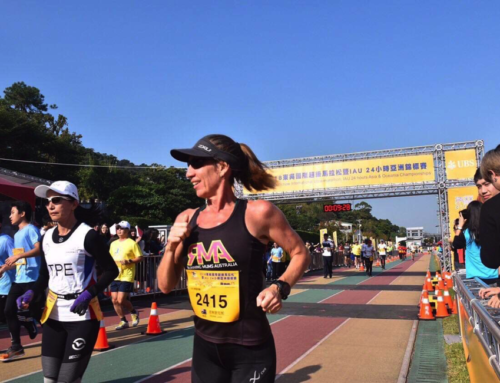 What I did walk away with is far more important and is why I woke up and laced up again the day after my marathon– friendship, community, inspiration and passion. I will wake up and lace up every day and keep training hard if for nothing else but to give an RMA a high five at my next race, to shout out “you can and you will”, to hug you at the end and to cry when I run past that tent of crazy screaming women as I cross the line. At the end of each race, bearing witness to each of your achievements is what I am proud of and not the time on the clock. 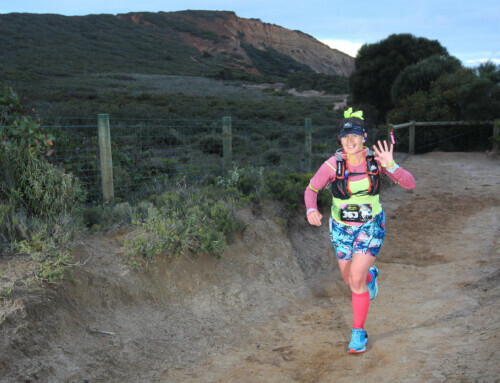 Ana Croger is an Ambassador for Running Mums Australia. She resides in Brisbane with her husband and three young children.